Roald Dahl's Marvellous Joke Book is full of jokes, limericks, riddles, Knock knock and Doctor, doctor! 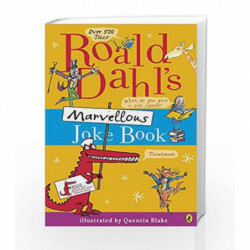 Here is a perfect joke book for young children, specially themed around Roald Dahl's best-loved characters such as Charlie, George, The BFG, Matilda, James and many others.Roald Dahl was always full of fun and mischief and loved all kinds of jokes - the sillier the better! From chocolate-covered chickens to grizzly grouchy grandmas to the disgusting Twits this marvellous collection has over 400 jokes, and includes Roald Dahl's very own, extremely silly 'Knock, knock' jokes - guaranteed to keep his fans amused for hours.Illustrations throughout by the inimitable Quentin Blake.Which famous writer goes best with a hot dog? Roll Dahl of course!Listen to Roald Dahl audiobooks read by some very famous voices, including Kate Winslet, David Walliams and Steven Fry - plus there are added squelchy soundeffects from Pinewood Studios! Look out for new Roald Dahl apps in the App store and Google Play- including the disgusting TWIT OR MISS! inspired by the revolting Twits. 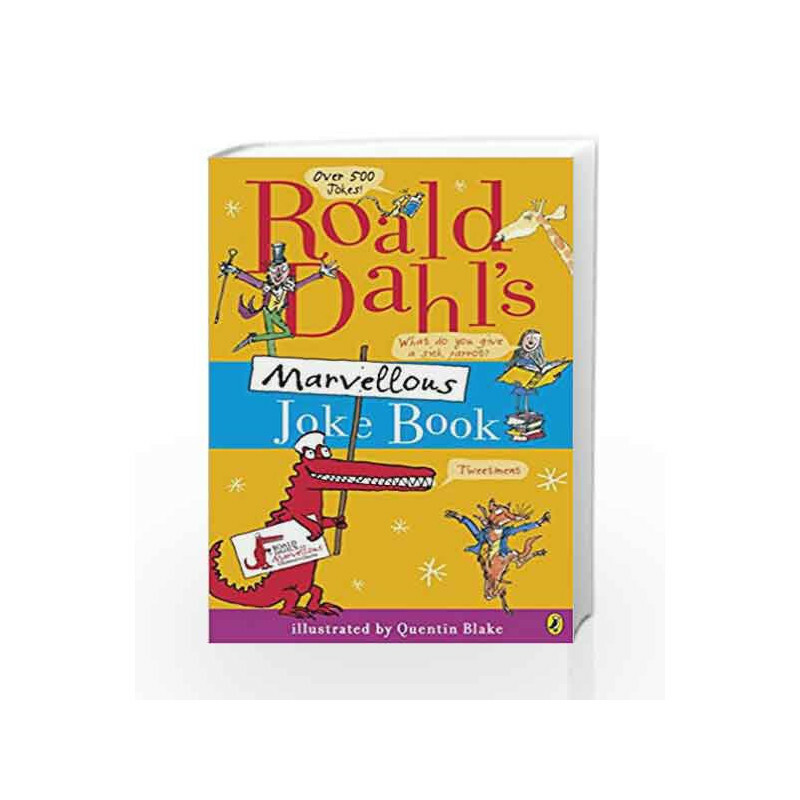 Roald Dahl's Marvellous Joke Book Book is not for reading online or for free download in PDF or eBook format. Table of Contents,Index,Syllabus,summary and image of Roald Dahl's Marvellous Joke Book book may be of a different edition or of the same title.